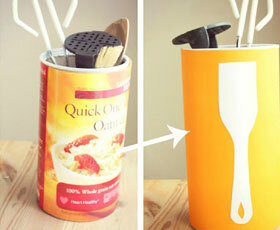 Use an recycled oatmeal box to create a functional and fun kitchen utensil holder! 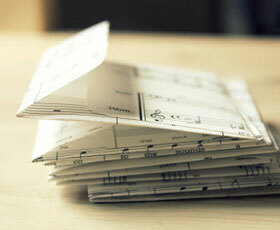 This project costs next to nothing and you end up with something you'll use everyday! 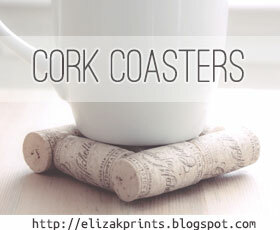 Create beautiful coasters with recycled cork. 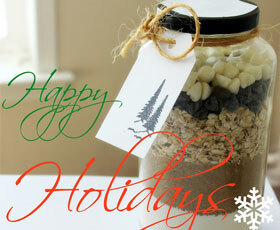 Easy and fun step by step photo tutorial! 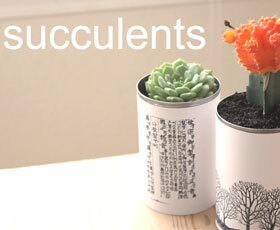 Create adorable planters for your succulents using old tin cans! 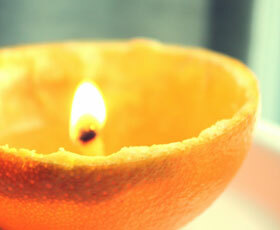 Create beautiful candles from orange rinds! 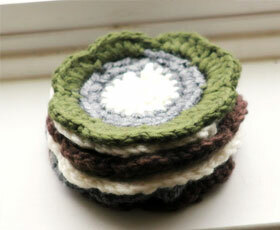 They are fragrant and you'll get a chance to use something that you would normally throw away.